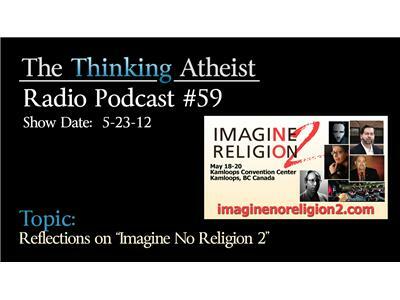 Reflections on "Imagine No Religion 2"
In this impromptu podcast, Seth spends some time talking about his experiences at the Imagine No Religion 2 event in Kamloops, BC Canada. No heavy topics. No callers. Nothing but a stream-of-consciousness series of recollections from the weekend.